Have you been considering Leasing Property in Agra, Delhi, or NCR? If your answer is yes, then this is the perfect destination for you. The company regularly gets queries related to Leasing Property in Agra, Delhi, and NCR. 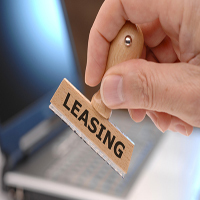 We are in a position to facilitate all types of Leasing Property Deals in a hassle-free and speedy manner. To increase the number of interested parties, we also promote the Leasing Property Deals of the clients in the Real Estate Sector of Agra Uttar Pradesh. This also gives a hike to the rent amount. Promotion of the concept of Leasing Property is one of the significant boons of the advancements in the Real Estate Sector. By leasing Property, property owners can earn huge monetary gains without having to sell the property. In our endeavor to smoothly execute Leasing Property Deals, we also offer to develop Lease Agreements as per the mutual consent of both the parties.